Casumo is one of the fastest growing casinos around. The casino has licenses in the UK and Malta and offer support in English, Swedish, Norwegian and Finnish languages. Casumo Affiliates is a new casino affiliate program from Casumo.com. Casumo has a different look and feel for casino players as they are creating an adventure to go along with the playing experience that also includes a unique rewards system. The casino launched in 2012. The commission rates are starting 25% revenue share and this increases based on monthly performance. 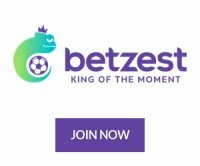 If you can send over 40 new depositing players a month, you can get 45% revenue share commission. The program doesn't have any negative carryover (no NCO). CPA or Hybrid deals are available upon request so contact your affiliate manager to inquire. The affiliate backend is powered by NetRefer software. Affiliates can get tracking links and gif banners. Casumo looks to be one of the hottest new casinos launched in 2012. In a world where most online casinos look and work the same, a site like Casumo might be what your players are looking for, for a fresher look at online casinos.